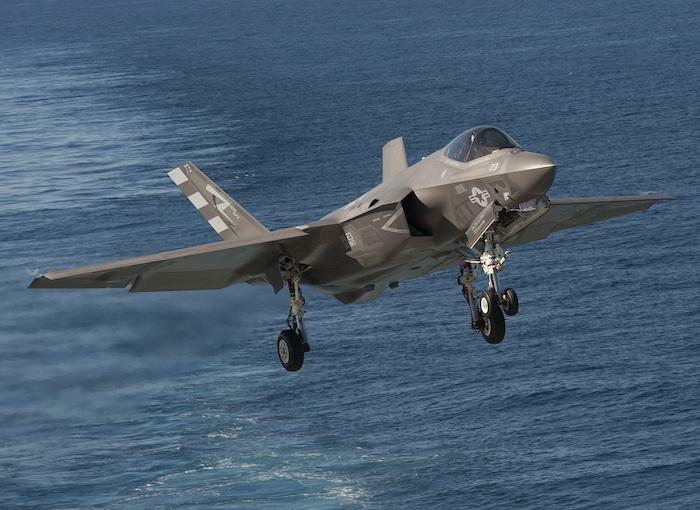 Marine Corps Aviation Officer Believes Study Will Back F-35 Over Super Hornet. A high ranking Marine Corps aviation officer believes an upcoming study comparing the F-35C and the F/A-18E/F Super Hornet will back the Joint Strike Fighter. Defense Secretary James Mattis last week called for two F-35 reviews: one to determine opportunities to significantly reduce the cost of the program while meeting requirements. Another is a parallel review to compare the Navy’s F-35C carrier variant and the F/A-18E/F Super Hornet operational capabilities (Read the notice). Mattis also wants the review to assess the extent that Super Hornet improvements can be made in order to provide a competitive, cost effective, fighter aircraft alternative. The F-35 is considered a fifth-generation aircraft while the Super Hornet is considered a fourth generation aircraft. Davis said if the Marine Corps only had Super Hornets, there would be certain scenarios it wouldn’t be able to perform. He also said there would be a higher attrition of legacy fourth generation aircraft than if fifth generation aircraft were available. Davis warned that the Marine Corps is lacking the ability to fight the high end fight as his Super Hornets are rapidly coming out of relevancy while his AV-8B Harriers are, as well. The F-35, he said, is the answer.